1) Dine alfresco with scented candles. Now that the weather has gotten warmer, it’s a great time of year to eat outdoors. Dinner alfresco can become a wonderful experience if you add a little light with scented candles. Try grouping candles together at the center of your table for a centerpiece or light a few large candles for a more dramatic look. 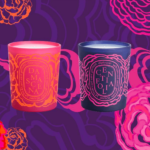 Scented candles are especially wonderful for summer nights as they fill the night with fragrance, making you feel as though you are in a garden, even if you live in the city. 2) Light up your life and scent your home with scented candles. Scented candles are wonderful indoors. Many people choose the warmer weather to do some home cleaning. To get out odors and to create a pleasant, fresh atmosphere, light some candles. 3) Celebrate the season with fresh, light scents. Even if it’s rainy or overcast outside, you can bring in some summer indoors all season long. 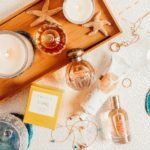 This is the time to put away the heavier, muskier scents and time to fill your home with light, fresh, summery scents. 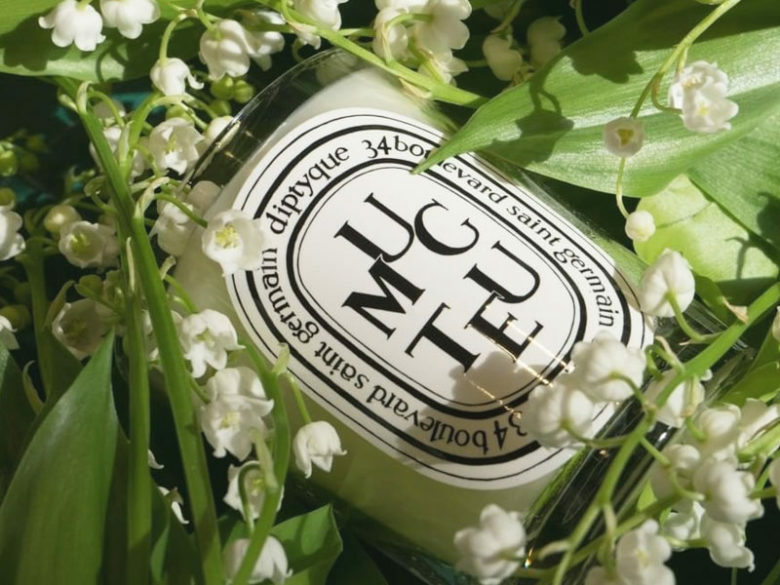 Light, fresh floral scents such as the Nest Peony Blanche Candle or the Diptyque Muguet Lily of the Valley Candle are perfect for this time of year. 4) Bring a few candles when you travel. 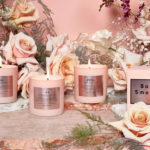 It’s a secret that celebrities and frequent travelers know: when you travel, bringing along a candle or two can make your hotel room or vacation home smell cozy and fresh, no matter where you travel. 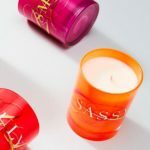 Another tip: if you’re traveling with kids who might get homesick, bring along a candle scent that you often burn at home to make your travel accommodations more home-like. 5) Open up your beach house with candles. If you have a lake house, cabin, or cottage, this is likely the time of year when you will be opening up your second home. To make your vacation home instantly fresh and inviting, light a few scented candles. 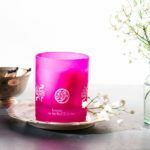 Fresh scents, such as the famous Votivo Red Currant Candle will instantly freshen up your vacation home and chase away any stale or musty odors. 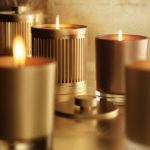 6) Get ready for those summer storms with scented candles. Summer often means summer storms and power outages, especially if you are headed to the cabin or cottage. 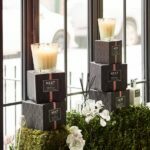 Stock up on luxury scented candles as well as regular candles. 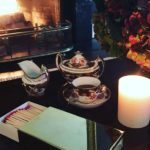 When the power goes out, luxurious scented candles such as the very summery Jonathan Adler Palm Beach Sunshine Candle transform any power outage into a wonderful event, with a beautiful light, luxury scent, and coziness.